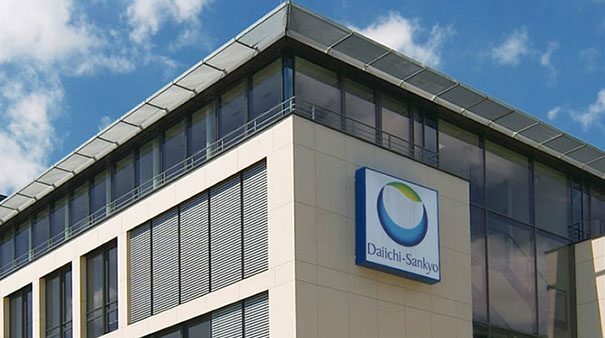 Daiichi Sankyo has been given a priority review from the FDA for pexidartinib, which is vying to become the first systemic drug therapy for rare cancer tenosynovial giant cell tumour (TGCT). The Japanese drugmaker filed for approval of pexidartinib based on a phase III study (ENLIVEN) in 120 people with TGCT, a non-malignant tumour of the joint or tendon sheath that can cause damage to the joints and surrounding tissues, and is now hoping for FDA approval by early August. TGCT – sometimes known as pigmented villonodular synovitis (PVNS) or giant cell tumour of the tendon sheath (GCT-TS) – has no approved therapies and is currently managed with surgery to remove as much of the tumour as possible, although it generally grows back over time. The FDA is reviewing an application for use of the drug in patients whose tumours aren’t suitable for surgical intervention. Results from ENLIVEN were presented at last year’s ASCO conference and showed that oral pexidartinib had an overall response rate of 39% in the study, with zero responses in a matched placebo group. The data helped the drug to an ASCO Advance of the Year for rare cancers awarded last month, topping off something of a resurrection for the programme which was suspended because of liver toxicity concerns in 2015. While TGCT is a small indication estimated to affect just 1.8 people 1 million in the US population, pexidartinib’s mechanism could position it for use in other, more common cancers. The drug is a small molecule that inhibits colony stimulating factor-1 receptor (CSF1R), a target that has been proposed as a means of fighting cancer as it influences the behaviour of white blood cells called macrophages, including those that tumours induce to suppress the immune response. Daiichi Sankyo has studies of pexidartinib ongoing as a monotherapy in solid tumours, as well as in combination with AstraZeneca’s PD-L1 inhibitor Imfinzi (durvalumab) in pancreatic and colorectal cancers and with Array BioPharma’s MEK inhibitor Mektovi (binimetinib) in gastrointestinal stromal tumour (GIST), a form of stomach cancer. The Japanese company acquired the drug when it bought Taiwanese biotech Plexxikon for a little under $1 billion in 2011. Meanwhile, there are a number of other companies developing drugs that act on CSF1R. For instance, Bristol-Myers Squibb signed a $1.7 billion licensing deal a few years back with Five Prime for access to its CSF1R programme, including an antibody called cabiralizumab (FPA008) that BMS is testing alongside PD-1 inhibitor Opdivo (nivolumab) in two phase II pancreatic cancer trials. Basilea has a multikinase inhibitor called derazantinib that includes CSF1R in its activity and is being tested alongside Roche’s PD-L1 inhibitor Tecentriq (atezolizumab) in bladder cancer, with a phase I/II trial of the combination due to start in the coming weeks. And Amgen has an antibody against the target – AMG 820 – in phase 1/2 in tandem with Merck & Co’s PD-1 inhibitor Keytruda (pembrolizumab). Earlier-stage CSF1R inhibitors are in development at Deciphera Pharmaceuticals, Syndax, and TP Therapeutics.